Australia needs to take action to strengthen its competitiveness as other countries strengthen theirs, otherwise, we risk declining global influence, the Australian Chamber of Commerce and Industry has said in its submission to the Foreign Policy White Paper. The Australian Chamber’s submission to the White Paper, released today, contains 11 recommendations intended to ensure Australia’s international engagement continues to deliver prosperity and security for all Australians. James Pearson, CEO of the Australian Chamber, said: “Australia’s position as a key ally and investment partner with leading economies may be challenged if we fail to take action to improve our competitiveness. Other nations are growing rapidly and will overtake us in global economic rankings over the coming decades unless Australia adopts policies to improve our performance. “Australia is currently the world’s 19th largest economy, but is forecast to drop to 28th in the world by 2050, reflecting the growing strength of emerging economies. We welcome the growth in these other economies, but must consider the impact on our own strategic position. “If we slide down the global ranking, we may become less influential in international forums such as the United Nations, the World Trade Organisation and the G20. This will harm our ability to shape the global environment, including the international flows of goods and services, capital and people. 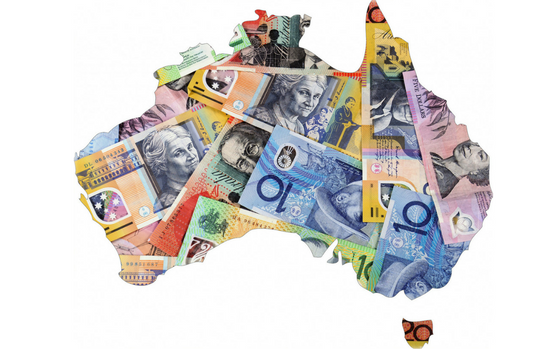 “Australia has fallen to 22nd place on the Global Competitiveness Index. Restoring Australia to the top 10 within 10 years, through adopting the policies in our Top 10 in 10 policy agenda, will advance Australia’s international standing as well as improving our standard of living. “Australia has engaged effectively in the Asia Pacific but there remains a vast and largely untapped opportunity within our region – the Indian Ocean Rim. Australia has an opportunity to increase its trade and influence in this region, which is home to 2.3 billion people. Building Australia’s strategic and policy interests in both the Asia-Pacific and the Indian Ocean Rim. Seeking to remove the World Trade Organisation’s requirement for a “single undertaking” in comprehensive trade liberalisation efforts. Streamlining assessments of foreign investment so that scrutiny thresholds are set at the same level for all investors. Involving business and civil society representatives more closely in trade negotiations and assessing independently the impact of trade agreements. Endorsing the Australian Made, Australian Grown logo as the common brand for Australian international promotion. Promoting the harmonisation of privacy and data policy between countries. Removing cabotage restrictions for coastal shipping and airlines unless the benefits outweigh the costs and the objectives can only be achieved by restricting competition. Working with neighbouring countries to develop all our economies in ways that are energy efficient and environmentally responsible. Engaging with the international community to achieve environmentally effective and efficient climate change policies that minimise costs and distribute the international burden of mitigation equitably. Investing $5 million in the development of an Australian Centre for International Trade. Encouraging improvements in the legal systems of developing countries around the world to support our overseas trade and investment interests.